عندما تزور جزيرة مامانوكا, ستشعر أنك في بيتك في Tokoriki Island Resort الذي يقدم لك إقامة متميزة و خدمات عظيمة. يسهل الوصول إلى هذا الفندق ذو 4.5 نجوم من المطار، فهو يبعد عنه مسافة 35km فقط. يوفر الفندق بفضل موقعة الجيد وصولاً سهلاً إلى أهم معالم المدينة.
. استمتع بالخدمات الراقية والضيافة التي لا مثيل لها بهذا الفندق في جزيرة مامانوكا. يمكن الاستمتاع بمجموعة من الخدمات على أعلى المستويات في الفندق كمثل أمن على مدار 24 ساعة, متجر هدايا/تذكارات, تسجيل وصول/تسجيل خروج خاص, مكتب الاستقبال على مدار الساعة, تسجيل وصول/خروج سريع. يمكن للنزلاء الاختيار من ضمن مجموعة من الغرف المصممة بعناية لتعكس جواً من الراحة، والتي يتجاوز عددها 36. يقدم الفندق مجموعة رائعة من الخدمات كمثل حوض استحمام ساخن, شاطئ خاص, حمام سباحة خارجي, غوص, صيد السمك، لجعل إقامتك تجربة لا تنسى. يحظى فندق Tokoriki Island Resort بموقع ممتاز وخدمات يصعب منافستها. Very relaxing way to spend a few days. Great food. We had the most amazing time. Love the outlay and gardens are absolutely beautiful. The staff were exceptional and made our stay so special with our Anniversary Celebration. We would definitely return! The scenery is amazing. The staff is just way too heavy with customers! We arrived at Tokoriki with high expectations - but quickly found that these were to be exceeded, and by some distance. The staff treated us like family, and their smiles left a deep impression that will forever be etched in our minds. The setting was spectacular - from the pristine white beaches to the crystal clear waters - and the resort offers a very well-curated list of activities which allow for maximum enjoyment of the natural environment. The rooms were extremely comfortable and well-appointed, and we were especially delighted with the no-wifi policy. 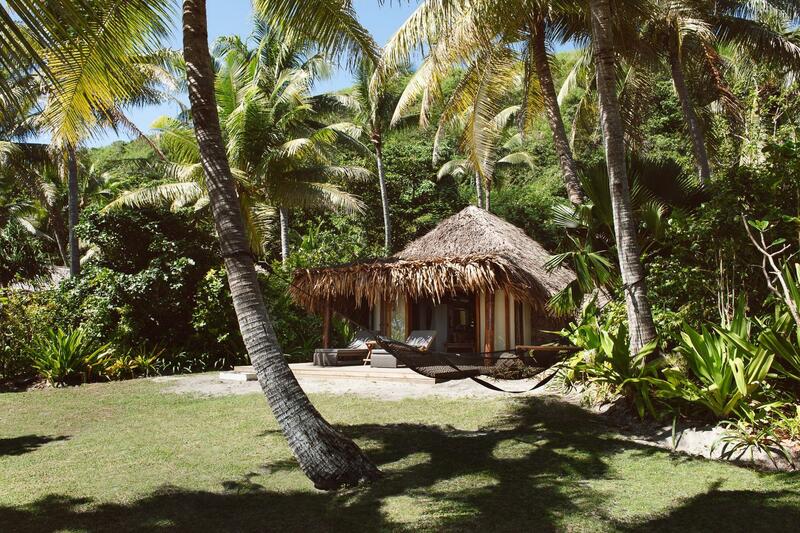 A place like Tokoriki can only be fully appreciated when one is fully present and relaxed. If only it were possible to give a six-star rating! The location of this resort is amazing. It is on the most beautiful island and the vibe is so wonderful. We were on our honeymoon and the resort was very intimate. My wife and I came here for our honeymoon and we were blown away by the view, food, service and living quarters. We had our own hammock and pool. Make sure to ask Mita for the Mai Tai with a rum floater. Phenomenal drink to have by the pool. We choose Fiji to celebrate our 30th Wedding Anniversary. Tokoriki resort was our 2nd stop at Fiji. We took short 15 min. helicopter ride from Nadi to Tokoriki. On a way back we took catamaran. Instead of promised 1 hr. ride it took us 2.5 hrs. Luckily we had an extra time before our departure time, so it wasn't an issue, but I would take seaplane or helicopter instead. We staid at Sunset Pool Villa. I think it's a best way to enjoy this resort because those villas provide complete privacy with your own pool. If you like to swim in an ocean the best beach is in front of villas 3, 4 and 5. We also enjoyed unlimited spa package (cost extra). Food was delicious. Staff is very friendly and from the 1st minute on an island they will remember your name and never mistake you with somebody else. This resort is fantastic and perfect place for couple! No wifi in the room but they have a lot of fun activities! This is the most amazing place we have stayed and an absolute haven for honeymooners, the bures were wonderfully appointed and made us feel like the only people at the resort. The staff are incredible and know everyone's name by day two, they go to a lot of effort to make it feel like home and we could not have been happier with our selection of Tokoriki for our honeymoon. 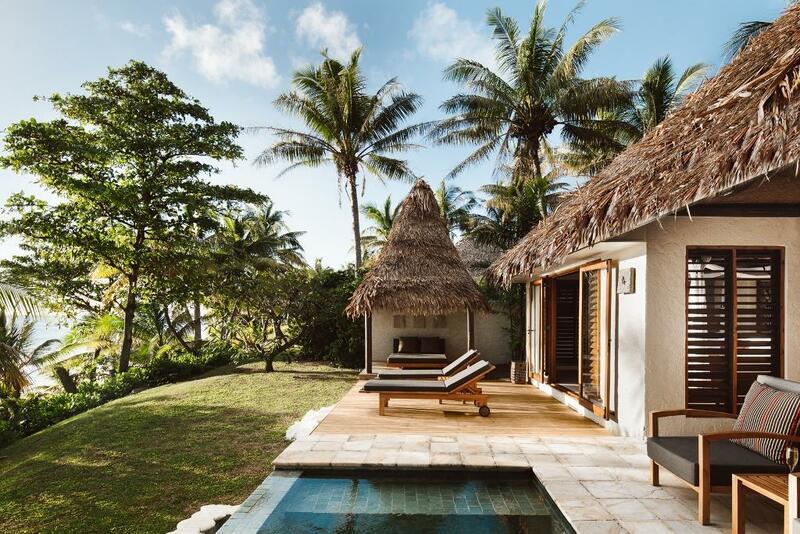 The bed was the most comfortable we have ever slept in and we loved the outdoor shower, I highly recommend selecting a Bure with a plunge pool. The food was amazing at every single meal and we had an opportunity to chat with the chef who showed us around the kitchen (absolutely spotless). Food can seem pricey but when you consider the location and the quality you are getting it is well worth it. At first I was a little disappointed by the lack of in room wifi or phone but I came to understand it as all part of the atmosphere and didn't miss it at all once we settle into the tokoriki lifestyle. Wonderful service, would definitely book again! There is not one negative to this amazing place. The food was amazing, the accomodation perfect, the facilities exquisite and the staff were the most accomodating, friendly people you will ever come across. The spa facilities were 5star, the view and surroundings were like they were from a picture. The activities offered were wonderful. I could not find a fault with the entire place and I am already planning on returning. 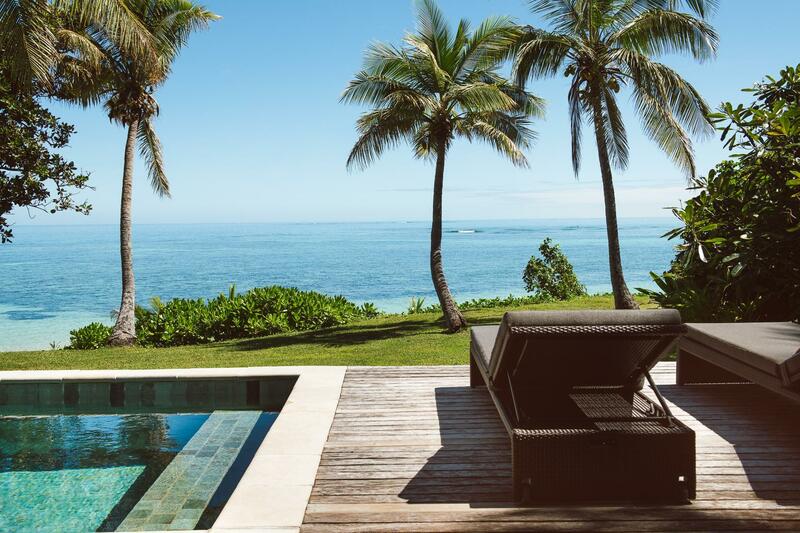 This is the resort where relaxation meets luxury. The staff are warm and friendly, they really get too know each guest. 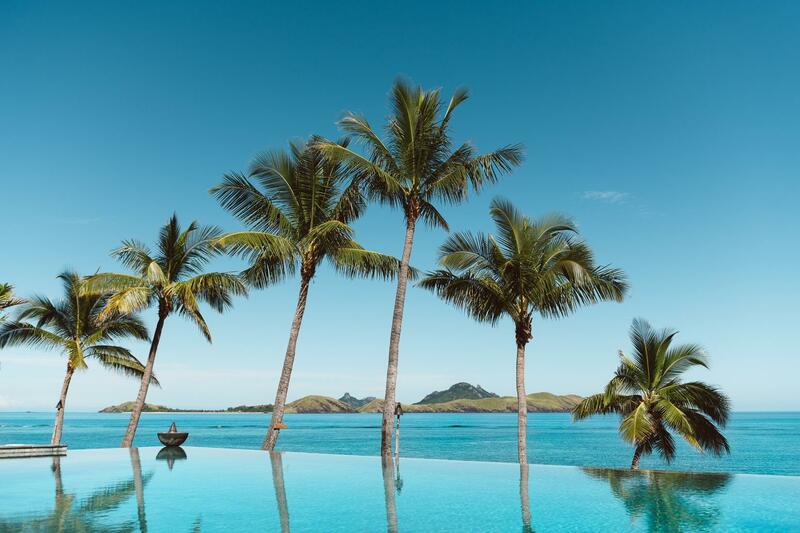 The pool is to die for with the view over the lagoon. Rooms are well appointed and spacious, with an outdoor shower you can enjoy the stars at night. I would highly recommend taking the sea plane, much more to see than the boat.